One of the things I enjoyed about the Macintosh OS was that you could print the contents of a folder. * This was handy when I was editing a series of images or uploading files to a web site. Unfortunately, Windows doesn’t have an obvious way of doing this. 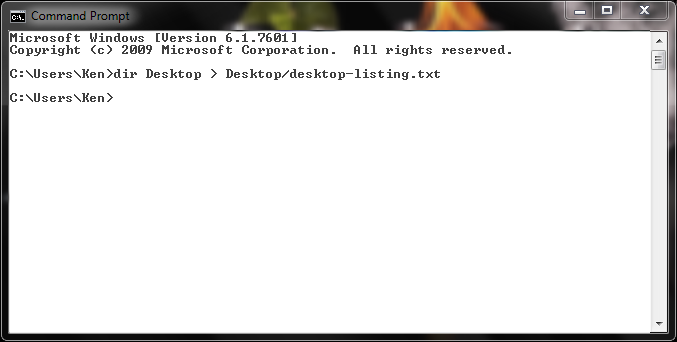 However, you can do it easily via the command prompt. *Or at least it used to. The latest version I’ve worked with (OSX 10.6) doesn’t feature this. I haven’t worked with any new versions, so I don’t know if they’ve added that capability back in. « How Many WordPress Plugin Combinations are Possible?